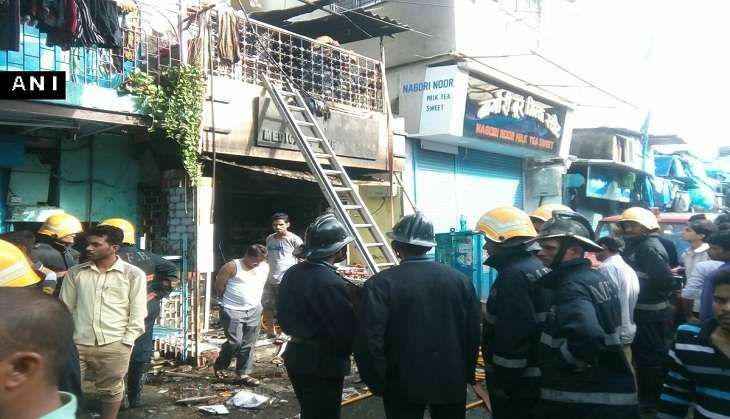 A fire broke out in a medical store in Mumbai's Andheri West on 30 June. Several fire tenders have reached the spot to douse the flames and bring the situation under control. The Wafa pharmacy, situated in a chawl on the Juhu gully in Andheri west, went up in flames at around 6.15 am. The fire started in the medical store that is located on the ground floor, and quickly spread to the first floor of the building, inhabited by families. ANI reports suggest that nine people have been killed in the fire. Another person has been critically injured. Of the nine lives claimed, five are children. A fire brigade official was reported to have said that a cylinder kept in the medical store exploded, causing the deadly fire. The flames have now been doused. A probe is underway to ascertain the exact cause of the fire. "Our fire brigade team received a call at 6.15 am and we rushed three fire tenders, one water tanker and two ambulances to the spot," the official was quoted to have said in a PTI report. HP via Punjab: Is Congress grooming Asha Kumari as Virbhadra's successor? READ NEXT >> HP via Punjab: Is Congress grooming Asha Kumari as Virbhadra's successor?